Create your own private retreat with a professionally installed hot tub from Crystal Pools. 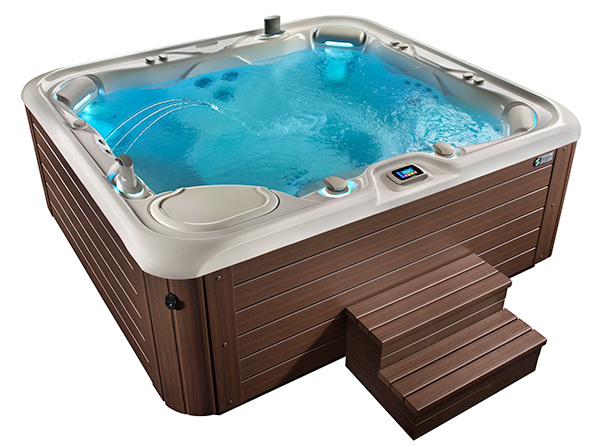 We carry a wide range of top-quality spas and hot tubs from the best brands in the industry, including Jacuzzi, HotSpring, Limelight, and others. Rest easy knowing your hot tub is installed by the experts at Crystal Pools, one of the region’s best pool & spa companies, serving Central PA for more than 5 decades! Learn more about each of the brands we carry below. Read this article by Hot Spring Spas! Request a free catalog or call one of our locations to learn more about our hot tubs and spas.